The quality of the work is excellent. It is very easy to get stuck on the site perusing all of the amazing imagery from such great contemporary photographers. Indeed, Dodho is great. 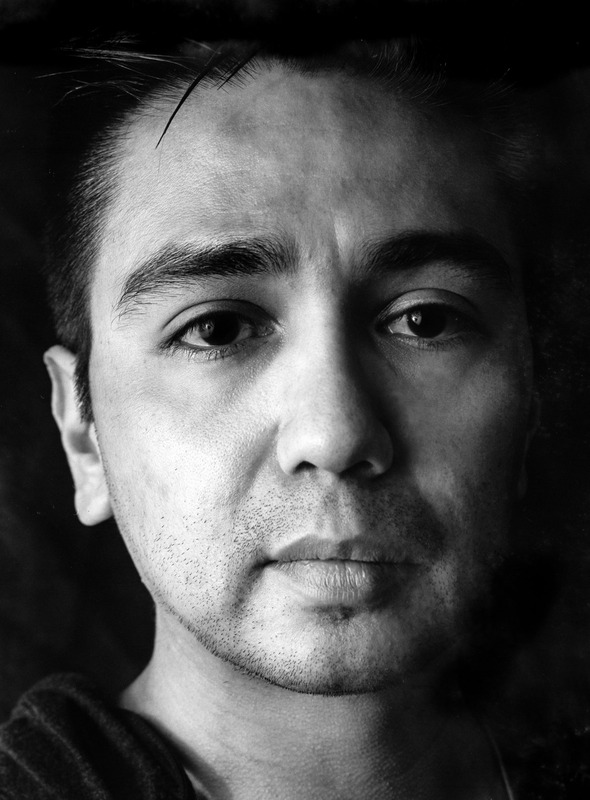 Dr. Joshua Sariñana’s passion for photography coincided with his interest in the brain and mind. After studying neuroscience at UCLA and MIT, Sariñana switched his focus to the practice and theoretical study of photography. He has had a solo exhibition at the Griffin Museum of Photography, shown at the Month of Photography Los Angeles, the Houston Center for Photography, the Los Angeles Center of Photography, Photoville, and the Center for Fine Art Photography. Sariñana was named as a Critical Mass 2017 Top 200 Finalist. His work has been recognized by the Sony World Photography Awards, Latin American Fotografía, iPhone Photography Awards, and American Photography. His work has been published in several periodicals, including Silvershotz, Better Photography, and SHOTS Magazines. Sariñana’s work has been featured on The Guardian, Buzzfeed, Bored Panda, Time, CNN, and an iPhone 6 commercial ad. He is also a two time recipient of the Council for the Arts Grant at MIT. Absolutely! My name is Joshua Sariñana, I was born and raised in San Jose, California, I’m an MIT trained neuroscientist, self-taught photographer, and I reside in Cambridge, Massachusetts. Currently, I’m a visiting lecturer at Northeastern University where I teach several courses, including, The Brain and Visual Art. I fell completely in love with photography while studying abroad in Paris, which was unexpected because I never had any inclination to photograph before my trip. My time in Paris made an incredible impact on how I viewed art, appreciated food, understood culture, and it ultimately influenced my decision to obtain my degrees in neuroscience. When I moved to Cambridge to complete my PhD I would primary take photos at social events where I preferred being behind the camera than having to maintain conversation. After nearly five years of graduate school I finished my PhD, but I was completely burnt out and I was no longer motivated by science. However, I still very much enjoyed photography and I started to spend more and more time shooting, studying the theoretical aspects of photography, and writing about the interactions between neuroscience, photography, and culture at PetaPixel. Today, I spend as much time dealing with neuroscience as I do with photography. Because managing a PhD project requires a great deal of organization, foresight, and data management, I can draw upon these skills to manage my time for both work and photography. What inspired you take your Image of structure project? 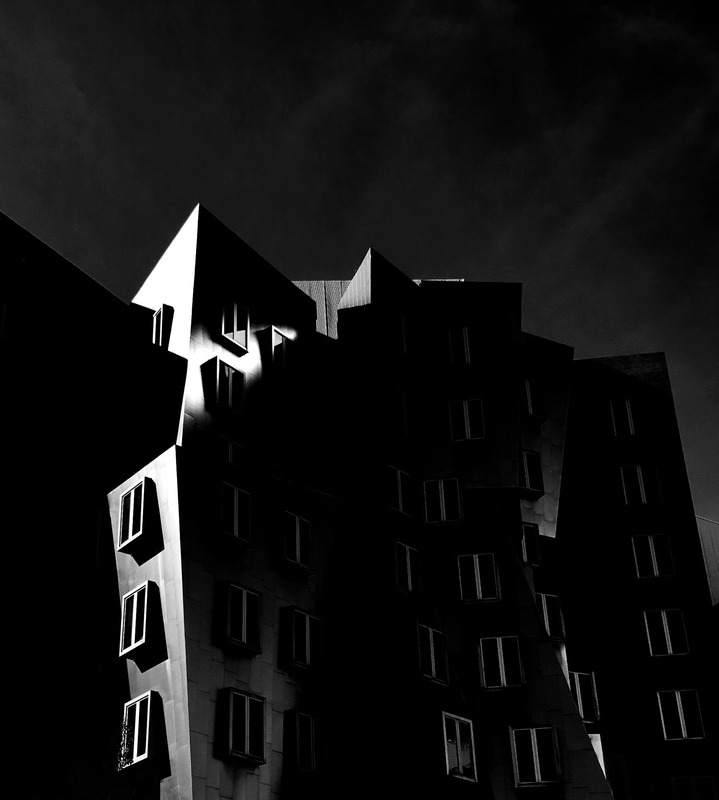 These images are of the Stata Center which is directly across the street from where I conducted research. 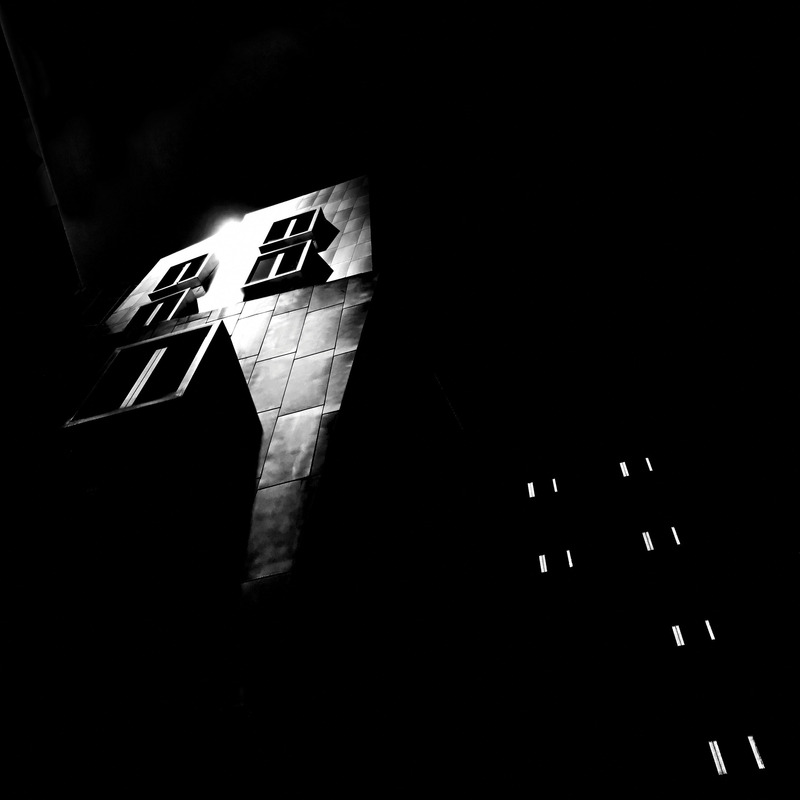 Overtime, I became more and more drawn to this architectural work. In the three-month leadup to defending my thesis I worked hundred-hour weeks. The energy I poured into my PhD led to solitude, insomnia, and an overwhelming sense of dread, which nearly caused a physical and mental collapse. 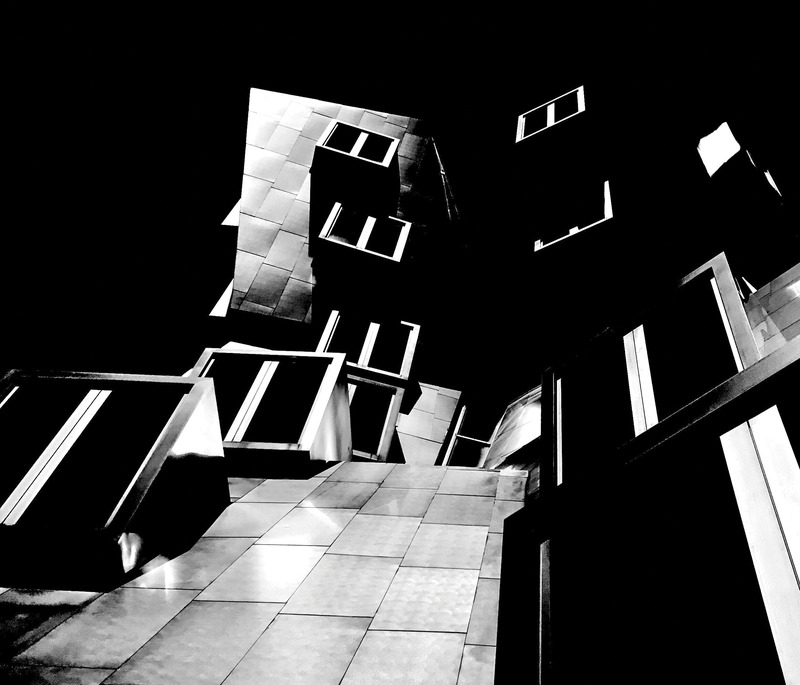 I saw the Stata Center almost every single day and for over 10 years I took photos of it, learning how to view it ever more clearly apropos my internal state. With this interaction I connected to this deconstructed architecture, while at the same time, undergoing psychological dissociation. I started this project to deal with the stressors of my academic life. In my photographic work I seek to create a distinct – often dire – reality. I am not looking to have the viewer feel how I feel or see how I see, but to use it as a projective test to identify internal conflict that they may not have been aware of prior to viewing this work. My process varies greatly from project to project. In one series I may work solely with experimental film or put together a project that spans more than a decade. For this work, I used my iPhone and shot the images in monochrome (i.e., unconverted) and with only basic postprocessing. These images happened to be the least technically challenging as compared to all of my previous work. 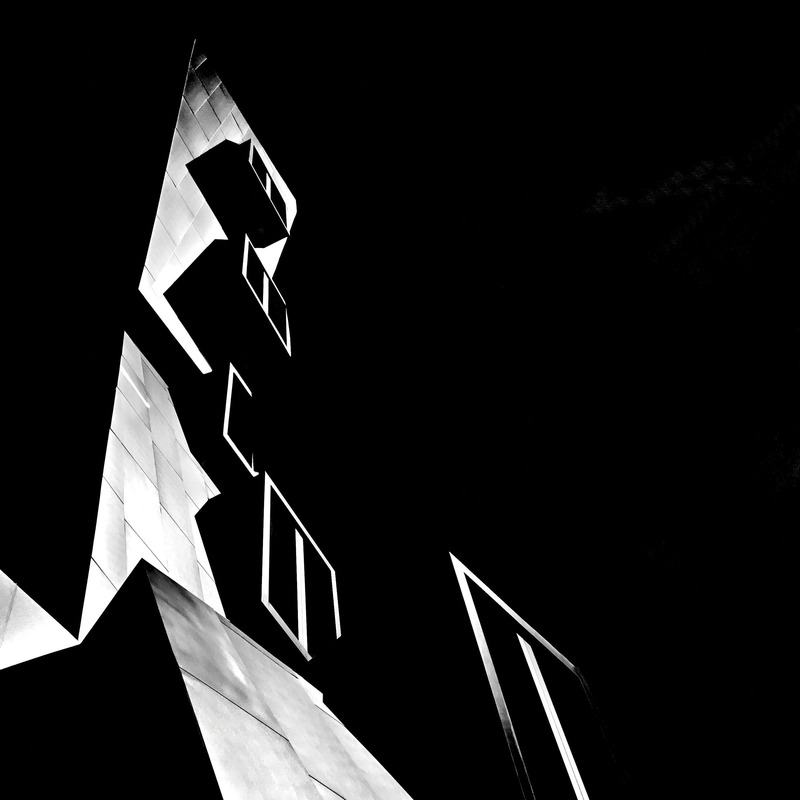 Still, it took nearly a decade of shooting this building to finally find its voice. A focus on contrast, absence of color, and form. To precipitate an scene to an elemental form. This absolutely depends on the project. Image of Structure happened to occur without foresight. My previous project – Representation of Hidden Communication – required significant planning with regard to how many images I would make given the funding I was asking for in the grant applications, which also required an interview that took a lot of explaining. My next project, which has no title at this point, has taken me the longest to conceptualize and prepare for. There is no inherent quality of making an image memorable. I’m constantly surprised by what others have as their favorite image with regard to my work. Indeed, their needs to be strong initial response because it is rare that someone will continue to come back to an image unless it spoke to them at the outset. This can be different for curators. Certainly, curators need to connect to the image, but if they are on the fence about including it then they likely will come back to over and over again. With this repetition they may see more into the image. I almost never know as it’s more intuition than anything else. There have been a few times, out of tens of thousands, where I came across a scene and immediately found the composition I wanted. For example, when I was a Harvard Research Fellow I took the train to the lab where I conducted my research, the Massachusetts General Hospital. Each day as I crossed the Charles River from Cambridge to Boston I would gaze out toward the tranquil water. During the winter the river freezes over and on that day I noticed a break in the thick ice. After exiting my train I doubled back to capture a scene that felt deeply intimate. I was very proud of that image and I think it is one of a few photos that resonates as much with me that I think it does with the viewer. Which one‽ I have way too many bags. I have several cameras that I switch in and out of my bags depending on how big they are or how many lenses I need or how much film I’m taking with me. For example, when I use my Travelwide large format camera, I can only use one particular bag. There is a specific bag I use for my Hasselblad 500 C/M, my Leica M3, and Polaroid cameras. Other than camera, lenses, and film you would likely find my business cards, glass cleaning supplies, and – when I was younger – some marijuana. It is still critical to make the best website you can within your price range whether or not one has a business. The website is the first thing that people will find when they search for your work and you better make a great impression right away. People lose interest very quickly and most people will spend less than a minute on your sight. It is very rare, at least for me, that I sell work via my site. I don’t have a store, I use to, but it is clear that I have my work for sale for which a link will directly link to an email. I think the site is a digital business card and more for being viewed as a legit photographer more than anything else. Social media is necessary, and it plays a different role temporally, engagement wise, and through personal stories. Temporally, meaning, you can update your social media channels from several times a day or to a few times a week, which does not happen on websites. Feeds offer the viewer a quick way to engage by seeing more of your work and the uploaded images need not be as curated as your site must be. Social media can also be much more personal as compared to the résumé quality of a site. For example, providing a story to go along with the image. All of this being said, depending on the type of photography you do, I think that fine art photography is not going to sell via your website or social media. Rather, there needs to be a strong relationship between the artist, galleries, collectors, and working hard to identify and contact businesses to sell work as well as having open studios to meet potential collectors one-on-one. My next project focuses on how the neural circuitry of creativity, aesthetics, and narrative. More specifically, I aim to create a photographic series that portrays the brain’s capacity and limitations in visual perception and narrative formation. To do so I am seeking out visual artists that have had brain contusions, such as a stroke, or who were born with altered visual perception, such as amblyopia [if any readers are interested in being part of this project, please do contact me]. For example, let’s say someone had a stroke that damaged the posterior visual cortex. That individual may develop akintopsia, which is an altered perception of motion. I seek to create images that portray their subjective experiences by altering film in-camera with minimal to no digital manipulation. Film is purposefully used to embody the physicality of the brain. In representing the impact of altered brain function, the series will give greater insight into how visual perception builds into complex narrative and will pickup where neuroscience leaves off, that is, the subjective experience. The area of the brain that is damaged creates a functional hole and it is this space where I believe science and art can interact. Finally, one las question. What opinion do you have of Dodho Magazine?